It’s a new school year. A new fresh beginning. We all want our children to do well, to excel, make good grades, have friends . . . It’s a common parent feeling. Standards seem to be higher and higher each year as to what schools expect of children. Sometimes the environments are great and very conducive to learning and sometimes not so much. Maybe your child has lots of friends or maybe not. That changes from time to time,right? So what can you as a parent do to help your child with this new year ahead? Be your child’s SUPPORT person. Your child needs someone in his or her corner, someone who is there to really hear about his or her feelings and be a support in finding ways to address their problems. It is a crucial role we play as parents. Yes we want our children to be independent and learn to solve their problems on their own, but they need a solid home base too. You can be that touchstone for your child. You are most equipped for this role as you know him or her better than anyone else. Remember that basic social / emotional needs will play a huge factor in academic success and happiness at school. A child must feel connected and have a sense of belonging to do well in school or at least to enjoy and see school as a place he wants to go to. There are many children I see in my practice that have difficulty with connecting and having a social network at school. This is a huge stress for a child. So what can you do? This will of course depend on the age of your child. But in general always encouraging your child or teen to invite other children or teens to visit outside of school can help. This can be in your home or a planned outing at a park or at the movies, etc. It is hard in our crazy busy lives that we lead, but so important for your child or teen to connect with others. If your child is younger you can ask the teacher who seems to be friendly with your child and who they think might be open to a play date. You might also consider hosting a class party at your home. This is a great way for your child to be seen in a positive light. In addition, you might consider encouraging your child or teen to take part in an after school activity of his or her interest. This can help in connecting with others who have a common interest. Address any issues that appear to have to do with your child feeling safe. This is critical to being able to be successful at school – socially and academically. If you have any concerns about your child being bullied, do visit with your child’s teacher or the principal. Teach your child know how to deal with this kind of behavior. And if need be enlist the help of a good child therapist. Help your child get organized early in the year. This can be done in a joint, collaborative kind of way. When children are involved in setting up a plan they are so much more likely to keep it in place and be intrinsically motivated to follow through. Have a weekly check ins with your child as to how things are going. This can be a simple conversation about how things are going – what is happening that is good and what is happening that your child needs help with. It can also be a time to talk about feedback from teachers – the positive and the negatives both. Encourage and acknowledge all steps of progress and accomplishment. This is one of the biggest things we can do. We all need encouragement and acknowledging of the “good stuff” that is going on. You might consider doing notes to your child as to what you see that is going on that is positive. Written words have some special power that you don’t have with verbal. Get extra help early when it is needed. The most discouraging thing is trying to pull grades up when you are in the 3rd quarter. Doing this early on can save a lot of upset. Tutors are nothing to feel ashamed about. We all have our strengths and weaknesses. Sometimes another person can be just what is needed. Some schools have peer tutoring, or after school tutoring programs. And of course one can always hire a college student or a professional tutor. Another source is the Khan Academy. This is a not-for-profit, free web-based tutoring program. This would be mainly for older children who do not need a more concrete approach. But I did notice when I checked it out that they do have math tutorials for children K-12. So check it out if you have an older child or teen. If you do use a tutor for your child, it is well worth the effort to find a good match for your child’s learning style and personality. Tell your child you love him regardless of what grades he makes. This can take a bit of the pressure of. I am not suggesting that you as a parent do not have family standards that you ask your child to strive for. Let your child know that you love them and that you want them to love to learn and be able to do what they want to do when they grow up or graduate. If your child’s teacher is not a fit for them and it seems to be having a negative affect on them consider asking for a transfer. This is a very hard decision and one that has pros and cons involved. Some parents feel their child should learn to adapt to whatever environment they are put into. This may work if the issues are not huge for your child with this teacher. If your child is falling apart due to verbally abusive behavior by a teacher this may not be as much of an option. If it is about weighing it all out and really looking at what your child needs. Note: You will need to consider your child’s age with all of these ideas and adapt them to be age appropriate. Your child needs you. 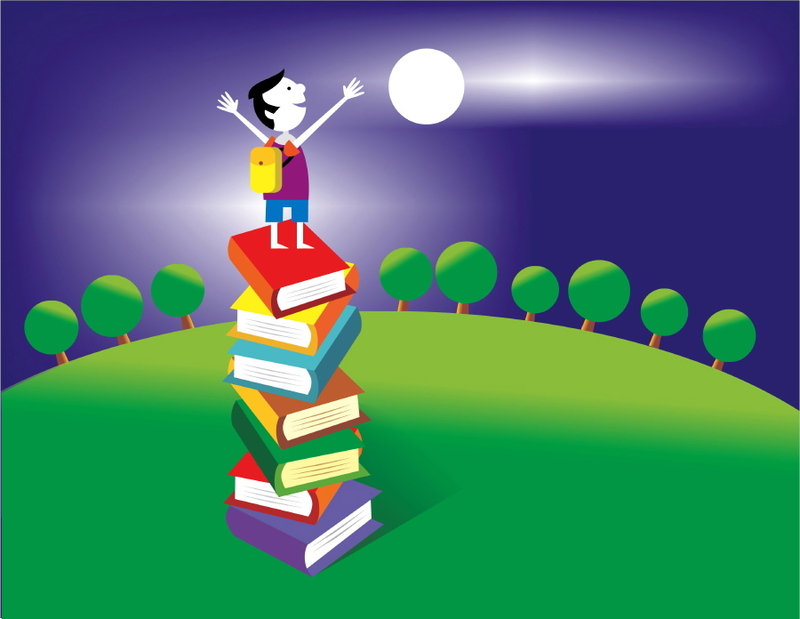 You are one of the biggest contributors toward whether your child will be successful in school. So high fives to all you moms and dads out there trying to “be there” for your child. You are making a real difference! Very well thought out..I liked it..